The Irene Villagers Women’s team went 11 matches unbeaten on their way to claiming the maiden Wanderers Women’s League T10 title in Johannesburg during the long weekend of 21-24 September 2018, writes ANITHA MADIKIZELA. 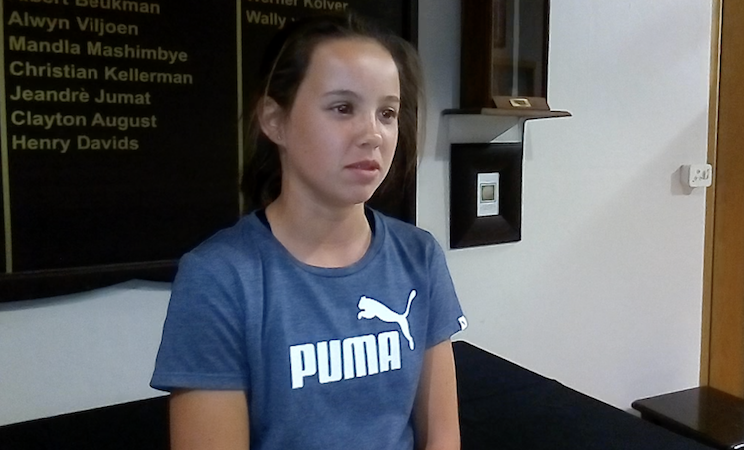 The inaugural tournament, organised by Shannon Kriel and Maddy Wolmarans, was a huge success and SACricketmag.com caught up with a couple of the star performers, 12-year-old Jenna Stanton and Protea Odine Kirsten, for the team during the tournament as well as the team’s head coach Douglas Yates after the event. Stanton was at the top of her game throughout the tournament as she picked up seven wickets in 10 matches on her way to earning the Bowler of the Tournament award. The 12-year-old pace bowler is an exciting young talent who has been playing cricket regularly since the age of seven. In 2016, she was selected to represent the Titans Northerns U13 girls’ team at the tender age of 10. She has been a prominent member of the provincial side ever since, while taking her club career with the Irene Villagers senior women’s team to new heights. Stanton fell in love with the game while playing cricket with the neighbourhood boys nearly five years ago and she has not lost her passion for the sport since. 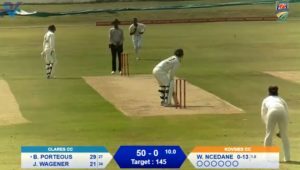 The youngster is definitely one to watch for the future as her ambitions are firmly set on making her mark in the South African women’s cricket scene. Kirsten has been playing for the Irene Villagers women’s club while regularly getting her call-up to represent the Proteas on the international stage. Beginning her career as a bowler, the right-hander has developed her batting in leaps and bounds to reinvent herself as a destructive all-rounder for both club and country. Irene Villagers found themselves in a precarious position after Crossfit 1610 – their opposition in the final – won the toss and posted a mammoth 135-1 in their 10 overs. No team had successfully chased down a total beyond 120 throughout the whole tournament. The Villagers women played well to stay in the game through the second innings but had their backs against the ropes as they found themselves needing a further 26 runs from the final two overs. It was a nervous finish as accurate bowling and energetic fielding from the opposition restricted the Villagers to just six runs in the penultimate over, still needing a further 20 off the last over. It was Kirsten who stepped up to the plate after accumulating 10 runs in the first four balls of the over. The pressure was on as only a six and a four off the final two balls could take the Villagers to victory. It was Kirsten who smashed both deliveries well over the boundary as her two massive sixes took the team to victory and the title. Yates has been coaching the Irene Villagers women’s team since the 2017-18 season. He took over the team after a long period of neglect and poor performances. The women had a fantastic season under the stewardship of Yates, losing only one league match. Yates and the ladies were unlucky to finish fourth overall at the end of the season after having lost points thanks to four matches that had to be abandoned due to the weather. Yates has been working with the team for the past year and jumped at the opportunity to take the women to the inaugural T10 competition at the Wanderers Club. Having been involved in coaching for Northerns age group cricket and with the Northerns’ senior women’s team, he brought a lot of experience to the club and the ladies have responded well to his methods. By his own admission, there were plenty of nerves going around the team during the final but he had unwavering faith that his side would come out victors in the end. He was the first to run on to the pitch and congratulate the team after the victory was secured off Kirsten’s bat.